I have research on FUE and decide to restore my precious hair :), found a Hungary based Hair restoration specialist which as best as in UK, So what you guys will suggest for my hair treatment solution? If you are not set on having your surgery in Hungary, I would like to suggest you look into Dr. Cole in Atlanta for your hair restoration. I recently had a consultation with him and I was really pleased with it. If anyone has other clinics for suggestion I’m open to doing more research but I’m more or so leaned towards having my surgery with Dr. Cole. Being a hair transplant patient myself and now representing Dr. Baubac and Alvi Armani, the best advice I can give you is, Rather then choosing your hair restoration doctor based on cost and who is close to you, you should research the top clinics in the world and go with who’s results you like the best. Many of today’s top clinics will reimburse you for travel cost, and you can leave for home the very next day after the procedure, so travel and location should not be a top consideration when choosing your doctor. The result you receive will be permanent and there for life, so don’t be afraid to take a short trip to go with your favorite clinic. A great first step would be an online consultation. 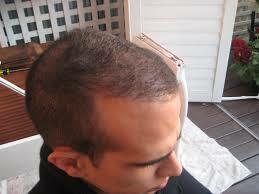 Often you can submit photos to top hair restoration surgeons for a complimentary evaluation. This should help lead you in the right direction. Having multiple consultations with different doctors cannot hurt.